Troubled German turbine manufacturer Senvion has filed for self-managed administration proceedings as its search to secure finance continues. In February, Senvion launched an action plan to reorganise the company after a series of "operational mistakes" led to a financing squeeze and a downgrade of its outlook for 2019. A part of the plan was to cooperate with financial partners to stabilise the company while it navigated the financial crisis, caused, in part, by delays in project execution. The company then brought on board a chief restructuring officer and, in a letter to staff, announced plans to withdraw from around 30 markets worldwide to focus its activities. The company has now been forced to begin insolvency proceedings, on a self-managed basis, as the discussions with lenders had "so far not come to a positive conclusion". "We are in the process of discussing financing options. If successful, we may be able to exit the initiated process successfully," said CEO Yves Rannou. "Although we could not yet win some breathing space through a financial restructuring, Senvion has a fundamentally sound and strong business model. "Together with all our teams, the management and I are implementing measures to return the company to economic stability," Rannou added. Under a self-managed administration, the management board will remain in place, with the additions of Gerrit Hölzle and Thorsten Bieg, lawyers that will support the restructuring. 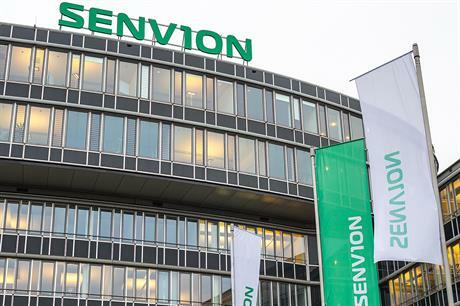 Senvion said its major shareholder Centerbridge has injected €82 million over the past nine months to support the company and backs the latest move. The manufacturer also said once a German court has approved the self-administration appeal, it will begin meeting customers "to develop plans to support the continuity of its installation plan and service business". "Services and maintenance contracts as well as production will continue," Senvion explained. "By entering the preliminary proceedings under self-administration, we aim to gain the flexibility and speed required to press ahead with the initiated transformation programme," said Rannou. "We are in the process of discussing financing options. We have been, and will continue, to work tirelessly to get Senvion back on track," he added. The company is yet to publish its annual financial report for 2018. In its 2017 annual report, Senvion reported a net loss of €93.3 million and revenue of €1.89 billion, following a loss of €66.2 million and revenue of €2.2 billion in 2016. Revenue in 2017 was divided between onshore wind at €1.2 billion, offshore wind at €0.35 billion and service €0.3 billion. For 2018, the group had forecast group revenue of €1.8-1.9 billion. Across the first nine-months of 2018, revenue totalled €0.8 billion compared with €1.3 billion in the same period of 2017. The net loss over January-September 2018 was €64 million, an improvement on the €94.8 million loss clocked up in the same months of 2017. Following the nine-month results, Senvion reduced its revenue guidance for whole of 2018 to €1.6 billion, down from the previous forecast. The application for opening of insolvency proceedings in self-administration throws into doubt the future of the consortium, lead by Senvion, to design a 10MW+ offshore wind turbine, which has also been backed by EU funding. The project began in 2018 with the design of the prototype and will run until 2021, said consortium member EnBW, in its annual report released on 28 March 2019. EnBW is a German energy company which has bid at auction offshore auctions with zero support funding on the assumption that larger wind turbines will further reduce offshore wind generation costs.